Are Battle Passes The Solution to Video Game Monetization? Could Battle Passes with guaranteed reward tiers replace Season Passes and RNG loot boxes? 2017 was an…interesting year. It was the year that gamers everywhere finally said “enough!” What were they rallying against? Net neutrality being abolished? Non-equal pay? Crunch hours for developers? A triple A culture that seemingly couldn’t sustain itself? Well, they sort of did on the final point, protesting against the wider implementation of loot boxes in video games. Though Overwatch saw bumper revenue thanks to loot box sales, games like Middle-Earth: Shadow of War, Need for Speed Payback, Destiny 2 and Star Wars Battlefront 2 – which was the tipping point – were ultimately met with disdain. Pulling back a bit from all this, I kind of feel bad for developers. You have persistent, online multiplayer titles that seem simple in functionality but require so much upkeep to chug along at a nice pace. Work must also be done on the engine to improve it in the long run. What about quality of life changes? PvP support? Balance changes? Anti-cheat measures? Toxic players? The thousands upon thousands of bugs that exist, not to mention the others that crop up with new updates? "Developing another big-budget, triple-A puts your studio at risk once more because of (a) the money needed to get a venture off the ground, and (b) there’s no guarantee it will sell as well as the previous game." You also better hope your base game lasts long enough because players will start demanding new content in due time. That new content has to be fresh, original, fun, replayable, addictive, add significantly to the base game and so on and so forth. The more popular a game is, the more incessant the demands will be. Now, this is not the part where I tell you microtransactions are necessary to keep games running, especially when games tie them into multiplayer progress or significant gameplay features. For all the flak that publishers usually get for stuffing their games full of microtransactions, sometimes the developers may also push for such measures. 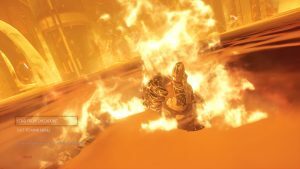 Destiny 2 developer Bungie’s cycle of content creation was more or less unsustainable and it thus elected for an Overwatch-like focus on cosmetics via the in-game Eververse cash shop. 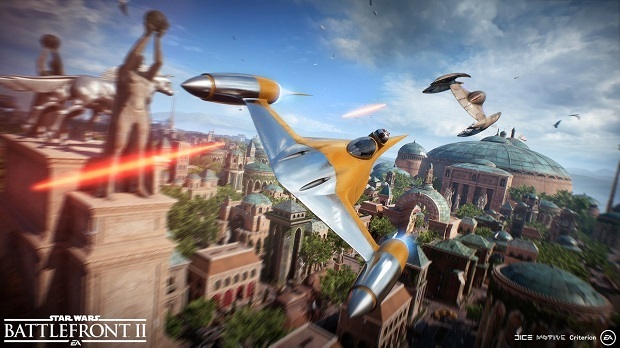 The fact that it was a looter shooter and most of the best looking stuff – from armour and shaders to Exotic ships and sparrows – was locked behind this shop apparently didn’t ring any alarm bells at the studio but that’s another matter. The point is: It was Bungie that ultimately decided on this approach and Activision went with it, as per reports by Kotaku’s Jason Schreier. Also, much as I like to support Warframe, I don’t think a free to play model reliant on microtransactions while still facilitating player trading, gifting and premium currency dealing is very sustainable for the biggest releases. What about Season Passes? While some games can get away with it, they can only just barely do so. Assassin’s Creed Origins, The Witcher 3: Wild Hunt and so on are the few standout examples. As such, when it comes to games like Battlefield and Call of Duty, there’s still that annoyance that comes from being locked out of maps, weapons and modes just because you don’t own a DLC pack. The splintering of the player base is a more long-term effect that can hurt a developer’s game. Also, while Season Passes delivering quality content for a single-player game aren’t impossible, you still run into the risk of your fans moving on. How do you keep them playing but continue to earn revenue? 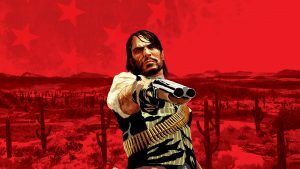 Developing another big-budget, triple-A puts your studio at risk once more because of (a) the money needed to get a venture off the ground, and (b) there’s no guarantee it will sell as well as the previous game. "So what is the solution? 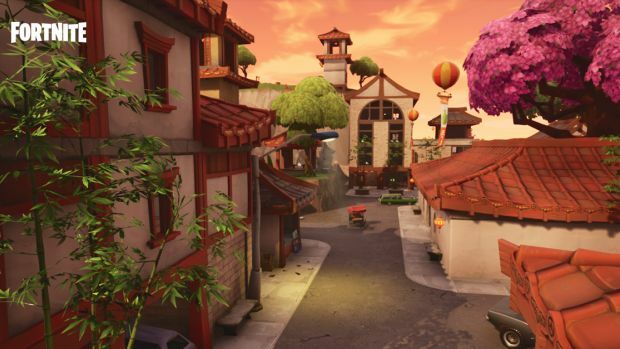 Oddly enough, it may lie in an approach that’s been around forever but re-popularized thanks to Fortnite: Battle Royale." I can see publishers taking a large amount of the flak for all this. However, they’re businesses at the end of the day, ultimately following the maximum profit possible. Player feedback is important but if it doesn’t directly translate into sales or help a brand grow, then tough calls have to be made. Much as I might say that there are plenty of other games without these practices which can be just as fun, I feel the sentiment of players who want strong triple-A releases from their favourite studios. They want to support these studios but also receive more than just the minimal viable product (without feeling cheated of course). So what is the solution? Oddly enough, it may lie in an approach that’s been around forever but re-popularized by Fortnite: Battle Royale. 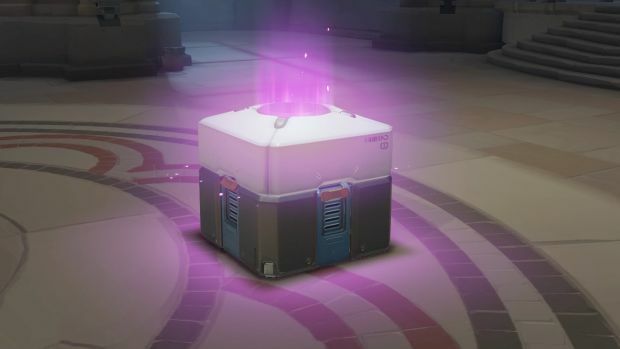 Players are generally okay with microtransactions but loot boxes have a severe stigma attached to them. Free content is a must so the player base doesn’t get splintered. How about a Battle Pass then? A Battle Pass is like a punch card of sorts that you pay for. In Dota 2’s case, it costs real money. A Battle Pass has levels – each time you earn experience, either by completing quests, challenges and matches, you earn a level on the pass. You can purchase more levels with real money or purchase, say, a level 75 Battle Pass off the bat. Why is this option so appealing? Because a Battle Pass gives you guaranteed rewards. First off, everyone who purchased The International 2017 Battle Pass for $10 received the following – three Immortal Treasure 2017 packs, Hermes the Hermit Crab, Shifty Minnow, Seasonal Terrain – Spring, the Fluid Mechanics taunt, The International 2017 Music Pack, The International 2017 Cursor Pack, The International 2017 Weekend Battle Cup Ticket (which is entry into an amateur tournament that can carry its own rewards), five The International 2017 Player Card Packs, Rank Double Down – Token Increase (which doubles amount of MMR gained or lost during matches) and the Iron Branch Effect. 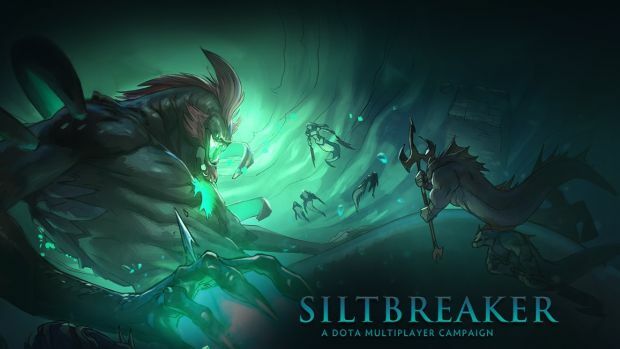 You also gained access to the Siltbreaker co-op campaign and 25 percent of the revenue went towards The International 2017’s prize pool, further supporting the competitive side of the community. 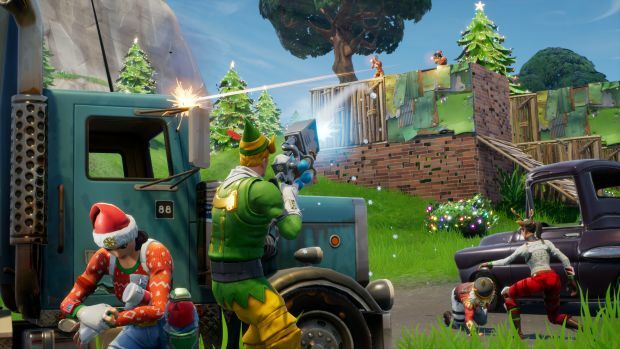 "Epic Games introduced the Battle Pass late last year and essentially tied all progression to it. It cost real money but again, the rewards are guaranteed." However, the Battle Pass could be leveled up further for more rewards. Fountain Effects, Player Card Packs, more Tokens, Emoticon Packs, Teleport Effects, more Immortal Treasures, a blessing that gives an item of random rarity, Loading Screens, and so on and so forth. Keep in mind that there are Battle Points to earn, Tokens to wager, challenges to complete and whatnot. However, not only does the player receive substantial rewards for “buying in” but they’re now invested to earn more rewards. They also have stronger control over what they want from the Battle Pass because even if you purchase levels, the rewards for each level are still fixed. Dota 2’s system isn’t exactly perfect. The Immortal Treasures are essentially loot boxes so there is random chance to the items you get (and no, they’re not pay to win but still). Granted, $10 nets a lot more loot boxes than Overwatch ever delivered but RNG for cosmetic items that enhance one’s gameplay experience is still RNG. That’s where Fortnite: Battle Royale comes in. Epic Games introduced the Battle Pass late last year and essentially tied all progression to it. It costs real money but again, the rewards are guaranteed. You receive XP boosters, outfits, emotes, gliders, pickaxes, emoticons and so on. With Season 3, Epic decided to make the Battle Pass purchasable with V-Bucks, the in-game currency. Not only could one purchase V-Bucks but they could also earn them in-game, eventually saving up to buy the Battle Pass without spending $10. There was quite a bit of backlash from this change, simply because players at the end of Season 2 had already spent their V-Bucks and weren’t told that the Season 3 Pass would require them. Poor communication in this aspect aside, it’s still a pretty great concept for a free to play title. This model probably wouldn’t work if Epic Games weren’t so receptive to feedback, fixing bugs and major issues so quickly or being so transparent with their communication. Then again, though Digital Extremes is also mostly transparent with Warframe players, it doesn’t command the following that Epic Games’ title does. That community following and dedication is as much a factor to the success of Fortnite: Battle Royale as Epic’s continuous support. It also doesn’t hurt that many of the changes made by Epic are in the right direction, proving they understand not just what the game is but what the community expects from it. To that end, several things like time limited modes, new weapons, new map locations and so on are doled out for free. Even if that’s expected for a free to play title, that’s still great value. "The real question is – would a Battle Pass be enough to sustain a $60 release if we’re not factoring in Season Passes and DLC?" Obviously if this solution were to be implemented in the triple-A space, it would take some work. How do you account for games that aren’t PvP-focused and thus don’t offer much potential for repeat experiences? Would players be willing to grind for items in a purely PvE game? In some cases, it wouldn’t be too odd – Dota 2 is primarily a PvP game and the announcement of a PvE co-op campaign in Siltbreaker drew tons of attention. The fact that The International 2017 prize pool was over $24 million with 25 percent of that coming from Battle Passes could partially be attributed to the attention that Siltbreaker got. The real question is – would a Battle Pass be enough to sustain a $60 release if we’re not factoring in Season Passes and DLC? There’s no major title that’s really attempted this. Rainbow Six: Siege has shown that a Season Pass for new Operators is a fairly good sustainable means of profit. Then again, it did introduce loot boxes with its recent Outbreak event so either the revenue from Passes wasn’t enough or Ubisoft wanted a bit more moolah. Though I’d love to point to Fortnite: Battle Royale with its 40 million downloads and record peak concurrent player count of 3.4 million as a solid basis for the Battle Pass success, Epic Games hasn’t really provided any hard numbers on the revenue. It’s been touted as possibly the “biggest game in the West” but that’s open to interpretation. While many have pointed to inflation and how games should cost more than $60, I believe that’s already more or less the case these days. Every game with a big budget, even if it’s moderately-sized, is only really complete with Season Pass content and DLCs, thus adding another $20 to $40 to the base $60. Which I’m fine with by the way, as long as the developer provides content that’s worth that asking price. Standards may vary but I don’t find much issue with giving Firaxis additional money for XCOM 2 DLC if the content is put together well and I want to show my support. "As noted many times, the issue of monetization in games, especially persistent online titles, is very complex." On the other hand, I don’t feel like going with just random RNG loot boxes, card packs and whatnot while making all future content free is a good alternative either. Especially when much of that “free content” is simply a gateway to push players to spend money on RNG loot boxes, thus leading to a vicious cycle of spending money on loot boxes for content, only to receive content that spurs you to spend more money on loot boxes. The Battle Pass may not be a catch-all solution to what ails the gaming industry but making games is expensive. Blame it on the triple-A culture (which I believe is a nonsense term since a game’s quality, rather than its budget, should determine whether it’s triple-A or not – another tale for another article) but it’s not going away any time soon. Not as long as publishers want to make money and developers want to remain employed while working on their grand projects. Offering up guaranteed rewards for a decent asking price and then asking players to contribute either their time, money or both for additional rewards isn’t the worst alternative. Of course, someone should check to make sure the base game feels complete enough first – more like Monster Hunter World and less like Destiny 2 essentially. As noted many times, the issue of monetization in games, especially persistent online titles, is very complex. I may think going with Battle Passes and allowing players to buy levels in a $60 release to be okay. 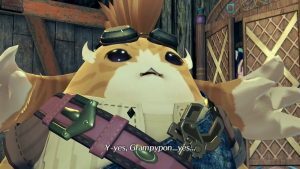 Someone could easily point to the aforementioned Monster Hunter World as a title that doesn’t have DLC, Season Passes or significant microtransactions (if we’re not counting the 8 or so additional gestures, three sticker bundles, face paint patterns, hairstyles and Handler costume currently available) as proof that such games are sustainable and fun. It’s a case by case basis depending on the studio and as such, this won’t be the last time this subject is broached. But if more studios start to follow the Battle Pass model, it’ll be interesting to see just how far-reaching the effects can be.